We are taking orders for stock Russians and French. See pics for teh quality. 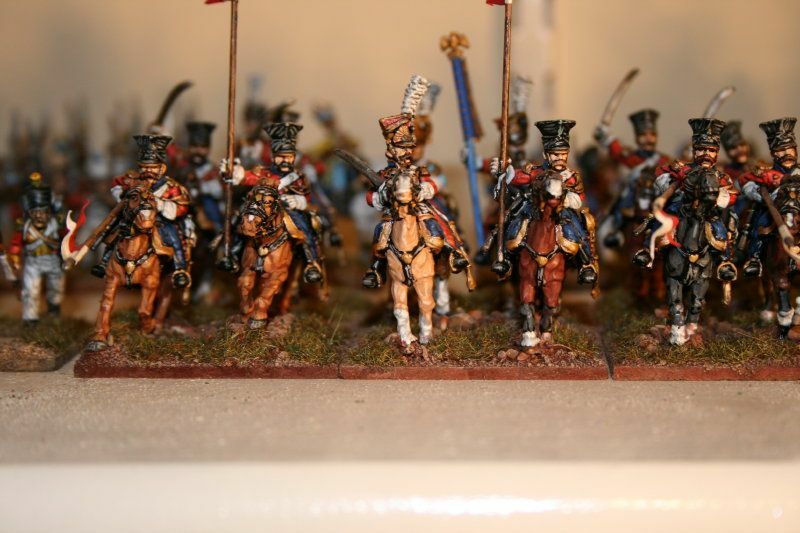 From time to time we are able to offer excellently painted battalions or regiments at very competitive prices. The unit are "sold as seen", but we are able to base them to your requirements at additional cost. Please see below for specific units currently available. 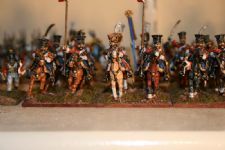 12 Foundry Guard lancers painted as Dutch. 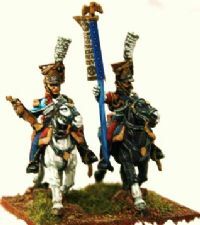 Includes basing and GMB flag - £120. SOLD!!! 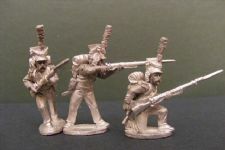 Unpainted we currently have Foundry regiments to be painted up, Front Rank Figures and odds and sods from various Foundry ranges. Please contact for more information. 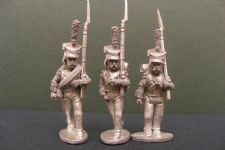 A full range of 28mm Perry / Victrix compatible Paul Hicks designed Poles are soon to be available. 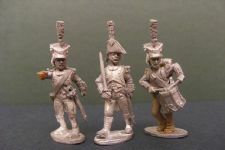 Skirmishers. 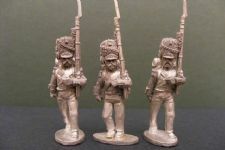 30 Russian Grenadiers - 220. View from above - These are now sold! 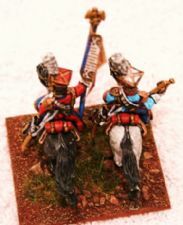 Bugler and standard bearer - These are now sold! 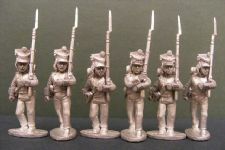 Foundry Dutch lancers - 12 off including bases and GMB flag - these are now sold!